Haitian President Jovenel Moise who was supposed to address the nation last night, Tuesday, made a U-Turn and changed his mind since the message was not delivered. After hours of waiting, Officials of the National Television station (TNH) released a note to apologize for not delivering what journalist say is a per-recorded message from the President. Why was the message not delivered? When will it be delivered? No date has been specified. 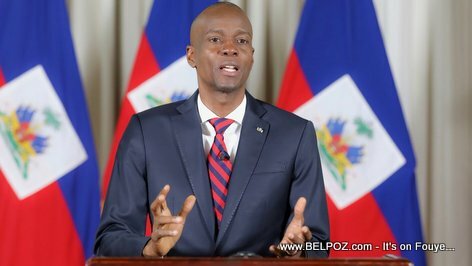 The departure of Jovenel Moise is coming but it will not change anything, journalist said.